Face masks provide a fast track to a satisfying at-home pampering session, and they can give skin some serious anti-aging benefits to boot. That said, it’s important to know which ingredients support skin’s vitality — especially because many anti-aging masks come with a hefty price tag! As we age, our skin requires supplemental ingredients to glow as brightly as it did in our twenties. Dr. Adarsh Vijay Mudgil, medical director of Mudgil Dermatology, notes, “[mature skin has] slower collagen production, less natural skin exfoliation, less elasticity, less fat content, and less oil production, which makes the skin drier.” Luckily, there are a myriad of masks made specifically to address these changes. Mudgil advises using masks spiked with hydrating ingredients, antioxidants, and exfoliating acids as part of a youth-preserving regimin. To intensify their effectiveness, try multi-masking: i.e. using different masks in tandem, giving your skin what it craves in the areas that need it the most. Below, we’ve found seven masks that help arm your skin with the aforementioned youth-preserving ingredients — because masking with dermatologist-recommended anti-agers ensures you’re spending your time (and money!) wisely. The Laneige Water Sleeping Mask ($25) has gained cult-classic status for its hydrating properties. Skin-quenching power players — including zinc, magnesium, and potassium — help moisture penetrate the skin. Simply replace your nighttime moisturizer with this cooling gel-like formula a few nights per week for majorly hydrated skin come morning. 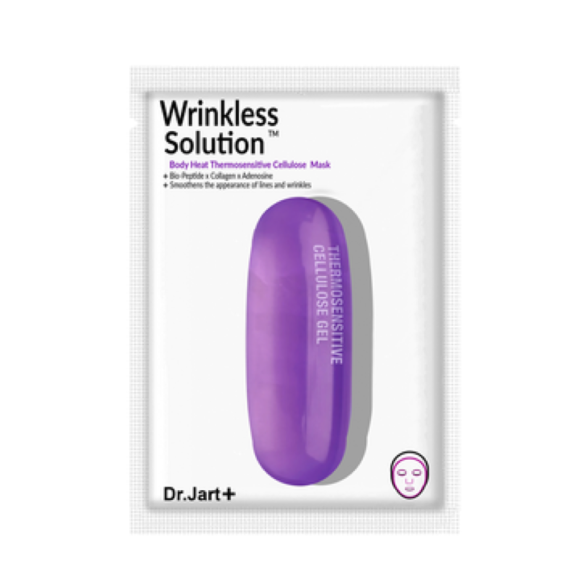 Another K-beauty fave, the Dr. Jart+ Dermask Intra Jet Wrinkless Solution™ ($9) mask relies on anti-aging peptides to help rev up skin’s elastin production (which tends to slow down as we age). Additionally, this mask is infused with the enzyme CoQ10, a known anti-aging superstar with serious antioxidant power. Simply apply, relax, and peel off after 15 minutes. Turns out, kombucha can benefit more than just your gut. The Fresh Black Tea Instant Perfecting Mask ($92) harnesses the power of antioxidant-rich fermented black tea plus jicama root juice to promote an instantly brighter-looking face. If rough skin is an issue, rest assured that this mask can provide some serious skin-softening TLC, making it especially ideal for a post-travel pick-me-up. This cooling mask is literally dripping with moisturizing ingredients, which all work to plump skin and help reduce the appearance of fine lines. Simply place the Tatcha Luminous Deep Hydration Lifting Mask ($25 for one, $95 for a pack of four) on your face for a cooling, spa-like experience. After 15 minutes, prepare to marvel at one of the most ethereal glows we’ve ever experienced from a face mask. It’s no wonder celebrities are fans of this hydration-focused brand! 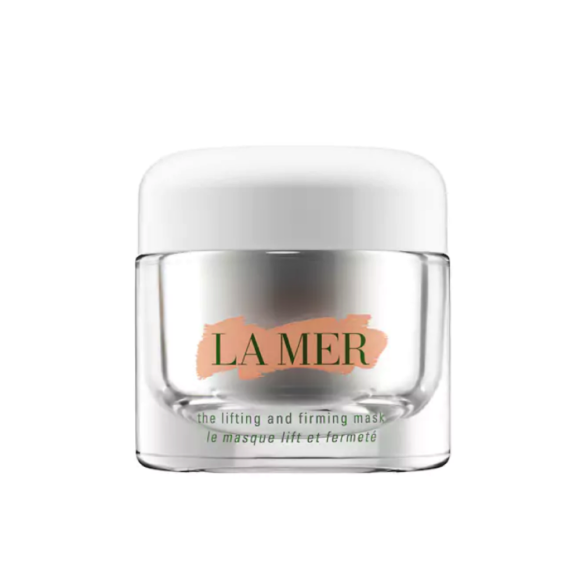 There’s a reason La Mer has maintained its icon status over the years — the entire product lineup is infused with the brand’s “Miracle Broth,” which relies on sea kelp to help treat and preserve the skin. La Mer The Lifting and Firming Mask ($250) is spiked with an ultra-concentrated version of the hero elixir for maximum lifting and toning. This peel is incredibly gentle without compromising on effectiveness. The five-ingredient formula contains a power squad of gentle exfoliants, including glycolic acid and lactic acid, to promote brighter and tighter skin without overdrying or causing redness. Used as a weekly leave-on mask, Silk Therapeutics Renewing Peel ($70) assists in cell turnover and primes skin for subsequent treatments. We love following this exfoliating mask with a hydrating sheet mask. The pearly GlamGlow GravityMud™ Firming Treatment ($59) is not only fun to apply, but it has a reputation for helping to make skin appear dramatically firmed and lifted within 20 minutes. 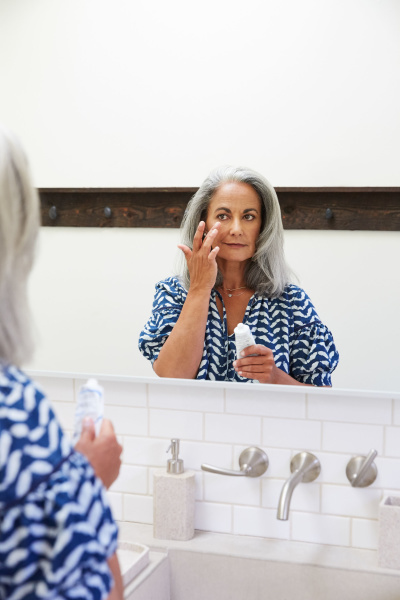 For this reason, it’s the ideal pre-makeup treatment to use before a big night out — or whenever your skin feels a little less taut than usual.